Climbing requires you to pay attention to your gear. But gear is only one part of the climbing experience. Fitness, of course, is one area where you can make changes that affect your experience. But there are a couple other factors that you don’t have as much control over, yet they are important things to know. For example, your measurements. If you’re still new to climbing, you may chuckle at terms such as ape index and sloth index, but they’re useful measurements that every climber should be aware of. These measurements can give you an idea of how you climb. The more you know about your different indexes, the more you’ll be able to use them to your advantage when you’re climbing. Your ape index is the ratio between your height and your arm span. To find your ape index, subtract your height from the length of your arm span. This will give you a value that’s either positive, neutral, or negative. 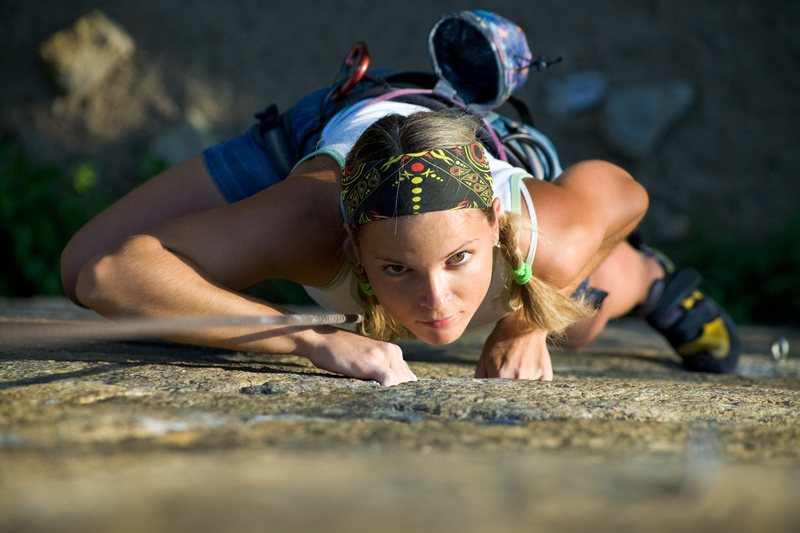 A positive ape index is considered advantageous for rock climbers. This is because you have a greater range when it comes to reaching. These different measurements can help you get an idea of how you climb. The more you know about your different indexes, the more you’ll be able to use them to your advantage when you’re climbing or how to improve them when you’re training. Your sloth index is a comparison using other extremities. To find your sloth index, subtract the length of your leg from the length of your arm. Measure your leg from hip to heel. Now measure your arm from deltoid to fingertip. Like your ape index, your sloth index can be expressed either as a positive, neutral, or negative. Climbers with a neutral index will find a more smooth transition bringing their feet up toward their hands during a climb. Depending on your body indexes, you may be better at or prefer certain types of climbing such as bouldering or layback. Those who like to use the layback technique often climb best when they have a neutral sloth index. So measure yourself up and see how you score as an ape and a sloth. Then visit Bill Jackson’s for your other climbing needs.